Wallace De Pue has four sons who are virtuoso violinists and composer/arrangers. All of them have played their father's music. Wallace, Jr. DePue received his Doctorate of Musical Arts (DMA) degree in Violin Performance from the University of Texas at Austin in 2006. 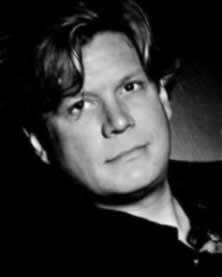 Wallace served as assistant principal of the Austin Lyric Opera Company 2000-2006; as assistant concertmaster of the Philly Pops; and most recently, toured as associate concertmaster of the John Williams’ “Star Wars” National Tour Concert Orchestra. In addition to his work as a free-lance violinist, Wallace Jr. is a rare violin expert. Here is a recording of the De Pue Brothers, featuring Wallace J. on vocals. 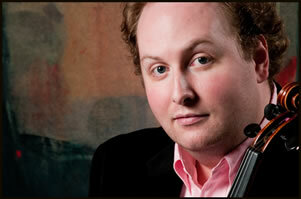 Jason DePue is currently a member of the First Violin Section of the Philadelphia Orchestra. Formerly the Concertmaster of the New York String Seminar, he attended Encore School for Strings, and the Curtis Institute of Music. In furthering the art of violin playing, he has performed live recitals of the Paganini 24 Caprices, as well as the Sonatas and Partitas for Unaccompanied Violin by J.S. Bach. He is the founder of the Guarneri Quartet Room in Philadelphia, Pennsylvania. Principal violin teachers include William de Pasquale, David Cerone, Vasile Beluska, and Boris Brant. Here is a recording of Jason playing Bach's Partitia No 3 in E major. 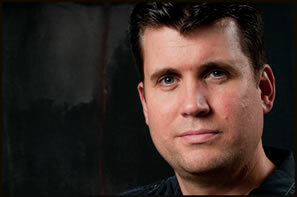 Zachary DePue is formerly a first violinist with The Philadelphia Orchestra and a graduate of the Curtis Institute. Zach is now the Concertmaster of the Indianapolis Symphony Orchestra, and a founding member of the classically trained garage band/trio Time For Three. Here is a recording of Zachary as soloist in the third movement of Mendlessohn's Violin Concerto. Alex DePue began studying classical violin at age five. He won his first university-level competition at age 10, and later (age 14) won a competition that entitled him to perform at Carnegie Hall as Concertmaster for the National Guild Youth Symphony Orchestra under the direction of Joseph Silverstein. 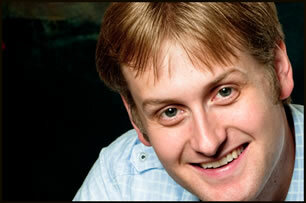 He has continued to win competitions and appear as a guest soloist with orchestras and at festivals worldwide. Here is a multitrack recording of CARAVAN, with Alex playing all the instruments. Despite his classical training, Alex became interested in fiddling at age seven and began competing in “fiddle” contests. He reigned as the Michigan State Fiddling Champion from 1994-1998; won the first-place trophy at the Walnut Valley National Fiddling Championship in Winfield, Kansas in 1999 and 2005; won first place in the Halletsville, TX “Gone to Texas National Fiddling Championship” in 2000; won first place in the Alabama state fiddle contest in 2006 and 2007; and won first place in the California state fiddle contest in 2007. Also in 2006, he was deemed, “Fiddle King” in Athens, AL (Tennessee Valley Old Time Fiddlers Convention). Alex served as a judge at the National Oldtime Fiddling Championship (Weiser, ID) in 2008 and in 2010 and 2011 he won first place in the Twin Fiddle division with Sedra Bistodeau while ranking among the Top 10 finalists in the Grand National Championship division. Alex toured as Musical Director/Fiddler with Capitol Recording artist Chris Cagle from 2000-2006, with whom he still regularly appears (re-runs) on the Grand Ole Opry, Country Music Television, Great American Country and VH1 Country. In 2007, Mr. DePue joined legendary rock guitarist Steve Vai for a world tour that took him across North America, South America and Europe. Alex’s YouTube (www.youtube.com) videos are from all parts of the globe, and his #1 YouTube hit, 'Owner of a Lonely Heart' (originally recorded by the 80's rock band, Yes) has been viewed worldwide over four million times (re-posting). 2010 continued celebration for Vai's 2009 DVD release, “Steve Vai: Where the WILD THINGS Are” (a live concert music-movie co-featuring DePue), its Grammy nomination (Best Rock Instrumental) for the 52nd Annual Grammy Awards and Gold Record (award issued to each band/cast member) from the Recording Industry Association of America in recognition of “Gold” sales status in both the US and Canada (Platinum Award from the Canadian Recording Industry Association). Also that year Alex performed with actor/singer, Kevin Costner. In 2011, Alex DePue launched “The DePue Brothers’ International Fiddle Competition” to benefit his home town's music programs through Bowling Green City Schools (OH) and also released his second solo recording, STAGES, on which he is performing all instruments heard.